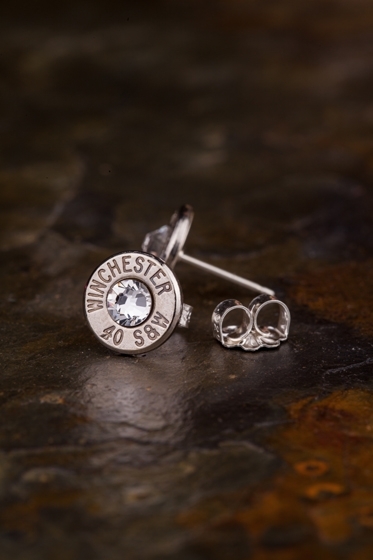 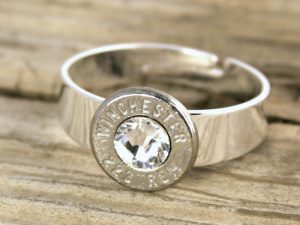 These stunning 40 Caliber Stud Earrings scream strength and beauty! 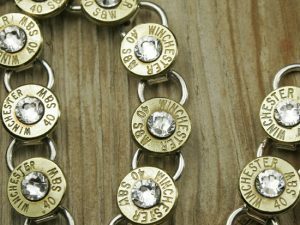 They are embellished with a clear authentic Swarovski Crystal and are available in Brass(gold) or Nickel(silver). SKU: 40-STD-EAR-001. 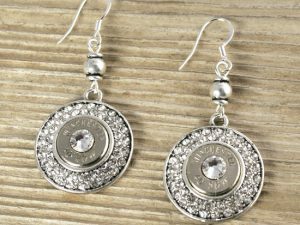 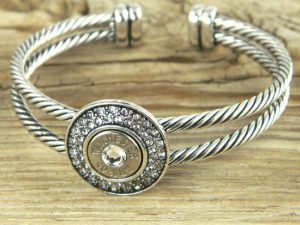 Tags: Bullet Earrings, Bullet Jewelry, Earrings, Jewelry.